We did it! Over 500 volunteers built 13 homes in four days at Raise Your Hand Chicagoland. Click here to see news, photos and video from the event or sign up for information about future volunteer opportunities! Raise Your Hand Chicagoland is a Habitat for Humanity event which invites everyone in Chicagoland to raise their hand and join Habitat to transform families and communities. All can participate to learn more, donate or volunteer. Join us for a four day build event - with volunteers constructing the exterior of one home and wall frames for 12 other homes that will be delivered to select Chicago area affiliates after the event. Raise Your Hand Chicagoland will build 13 houses total for 13 families across Chicagoland as we intensify our work to transform the lives of more families in more communities. Visitors can tour a 24ʼ x 50ʼ Habitat Home built on the Jean Baptiste Du Sable Homesite in 1779 – the first permanent residence in Chicago! The event also includes an engagement area to learn about Habitat’s mission and the need for affordable housing in the Chicago area as well as special guests and presentations. Our goal is to serve 500 families per year by 2018. Habitat leaders, Partner Families, supporters, volunteers, special guests, and elected officials will join together at this event. All are welcome to visit and learn more about our mission, vision and goals. 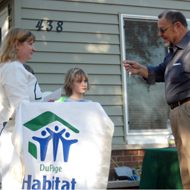 Habitat for Humanity in Chicagoland transforms families and communities through responsible home ownership. It is our commitment to create opportunities for families to thrive; to revitalize neighborhoods and build community; to help transform generations through home ownership. 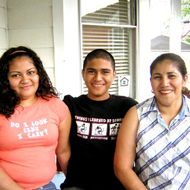 • We offer families a hand up, fueled by our belief in dignity, self-sufficiency, collaboration and hope. • We do this by making housing affordable to hardworking people without access to conventional financing. • Join us to help transform families and communities. 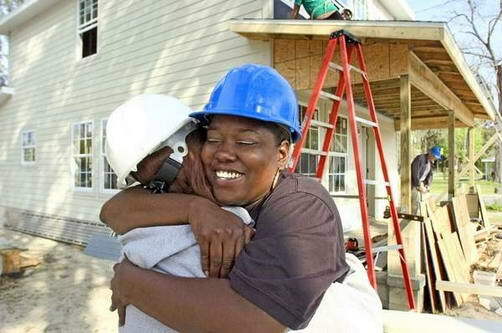 • Join us to partner with other individuals, corporations, volunteers and organizations to build, rehab and repair homes throughout greater Chicagoland.